Sometimes a compact crankset doesn’t offer enough gear range in the mountains. Compact cranks can achieve a 34t front and 32t rear gear, which may be fine for a strong rider carrying minimal gear, but what if the gradients are beyond 15% and you want to carry a few things? Unfortunately, modern road and MTB groupset parts are largely not interchangeable. If you listened to the manufacturers, you would also think you were locked into each models groupset components and ratios. But thinking outside the box yields different results. Before I take you through all of the different options, let’s have a quick lesson on derailleur capacity. The range of a drivetrain is limited by the cage height of the front derailleur, and how much chain slack the rear derailleur can take up. Different derailleurs are designed to handle different capacities. The advantage of using smaller capacity derailleurs (short derailleur cages and shallow front cages) is that they perform faster and snappier gear shifts. Long cage derailleurs generally allow around 45t total capacity, mid cage derailleurs can handle 37t and short cage 33t. But here’s the thing; manufacturer recommendations are generally quite conservative and you can get a few more teeth out of your setup if you are careful. Without further ado, let me outline what to do when you have integrated road bike shifters (STI) but want a mountain bike gear range. The SRAM cable pull ratio (1:1) is the same on 10-speed MTB, 10-speed road AND 11-speed road bike components. That means you can directly use 10 or 11-speed road shifters with 10 or 11-speed MTB cassettes. It’s important to note that you need to use a 10-speed mountain bike derailleur, even with the 11-speed shifters and cassettes. With this drivetrain, it yields some of the lowest gears on this list as 22 tooth front chainrings can be matched with wide range cassettes. Salsa uses SRAM road shifters with SRAM MTB components on many of their bikes. This is a pretty popular hack. If you’re using 10-speed road shifters (Tiagra, 105, Ultegra, Dura-Ace), you can hook them up to a 9-speed MTB derailluer, a 10-speed MTB cassette and a 10-speed chain. 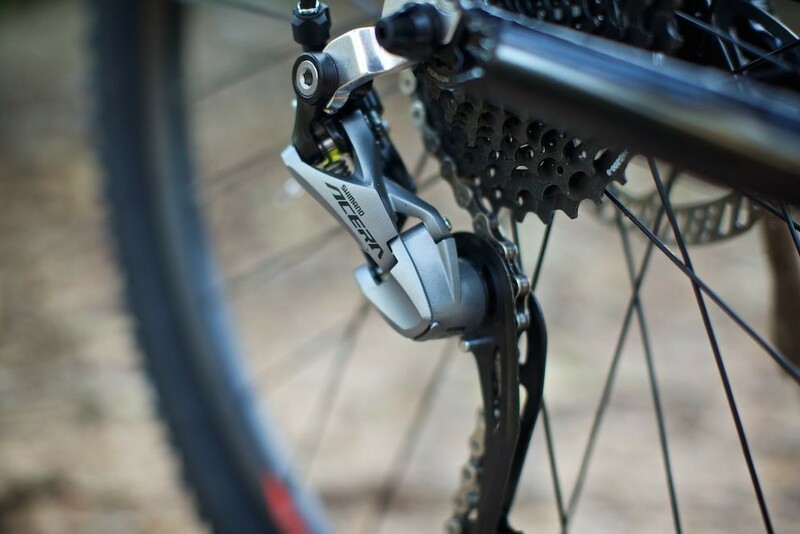 As the 9-speed MTB derailleur pulls in the same way as a 10-speed road, you are essentially just increasing the derailleur cage length to increase the overall capacity. Keep in mind the 10-speed shifters will ONLY work with 10-speed road front derailleurs. The JTek Shiftmate is a ratio-changing pulley which is used for matching different shifters and derailleurs. It works by converting the cable pull between components. 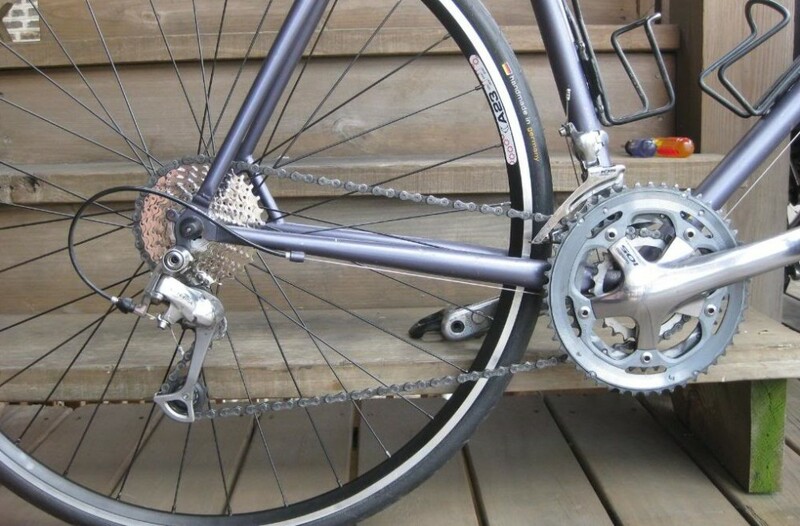 That allows you to use a mountain bike derailleur and wide-range cassette with your 10-speed road shifters. This is essentially the same end-result as the 9-speed derailleur hack above. More on the Shiftmate HERE. 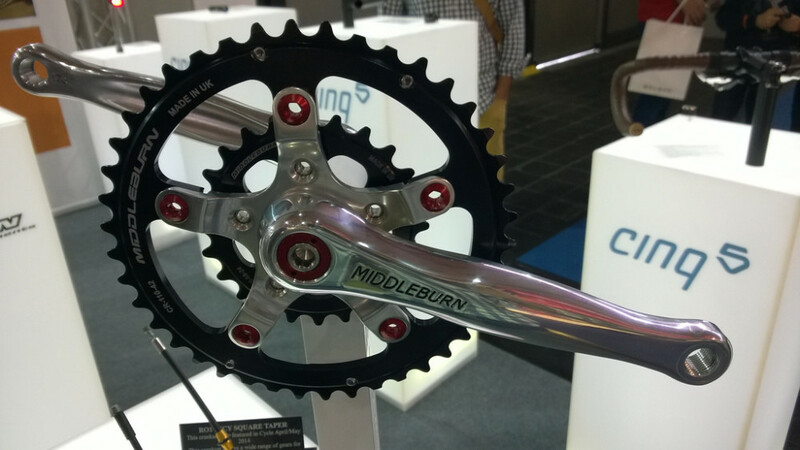 Middleburn cranksets use removable spiders to customise your gear ratios. The 94/58 BCD “Incy” spider offers the smallest front chainring available with just 20 teeth. 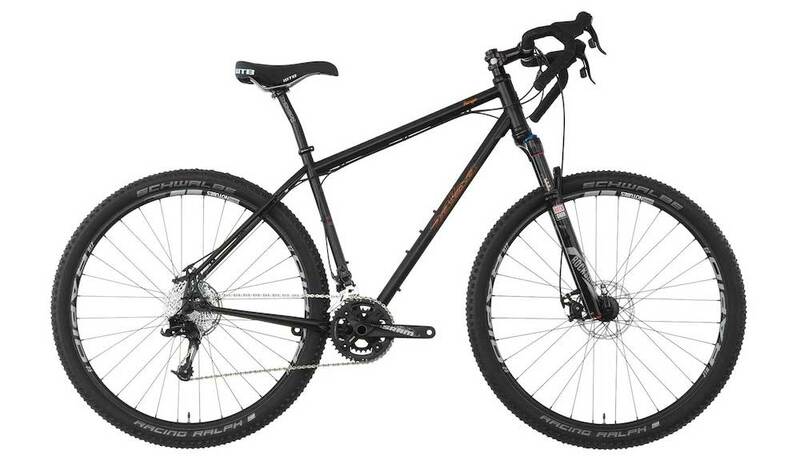 That gets your low gear right down to 17 gear inches – great for loaded touring in hilly terrain. You will need a long cage rear derailleur to make sure you don’t exceed your gear capacity. You can run a road triple crankset with just the two inner chainrings; simply remove the outer 50t chainring and that’s your double. The secret to this setup is the 74BCD inner chainring which permits down to 24t (much like the Compact Plus option below). 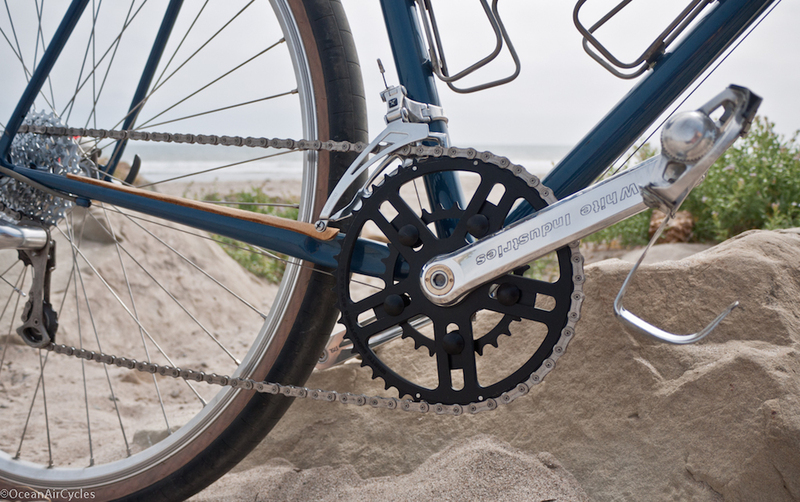 You can use 9-speed rear derailleurs with 10-speed gearing. The JTek Shiftmate is a ratio-changing pulley which is used for matching different shifters and derailleurs. It works by converting the cable pull between components. That allows you to use a mountain bike derailleur and wide-range cassette with your 11-speed road shifters. More on the Shiftmate HERE. A JTek Shiftmate 8 which has been used to run a Shimano MTB derailleur and cassette with an 11s road drivetrain. Compact Plus cranks offer a super small inner climbing gear, a low q-factor (145mm width between the pedals) and the ability to use every single one of your gears without complication. Keep in mind that 11-speed shifters will ONLY work with 11-speed front derailleurs. The Sugino OX901D cranks are the 11-speed model of choice. 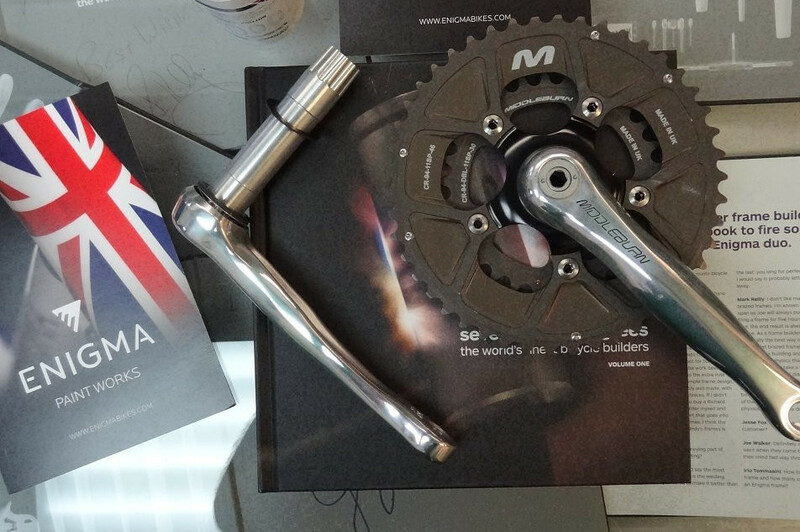 Middleburn put together a 94BCD road “super compact” 11s crankset which allows you to run a 46t outer ring and 30t inner ring. These guys make really great quality components with a lifetime warranty. Here’s another neat solution for 11-speed shifters. The White Industries VBC cranks have a narrow 150mm q-factor and can operate with a 24t difference between chainrings, although I’d recommend less of a difference for better-performing shifting. This setup should work fine with standard 11s road double front derailleurs. Inner rings start at 24t and go up in even increments. With 9-speed Shimano, you can directly use 9-speed road shifters with 9-speed mountain bike derailleurs and gearing. That’s great news if you’re working with an older bike or a current Sora-level gear system. Please note that you are slightly exceeding your rear derailleurs capacity with this setup, so be careful with your installation and gear choices. Here’s a hack that requires a bit more care. You can swap out the 30t chainring (74BCD) from your road triple cranks right down to 24 or 26t. This is where it gets tricky though; you WILL lose a few gears due to exceeding the capacity of the derailleur by ~5 teeth. The rear derailleur will likely have no tension in the 11-15t cassette cogs while using the small chainring, so make sure to avoid these gears. I highly recommend using a ‘chain watcher‘ with this setup given the large drop between the 39t chainring and 24t chainring. Both Sugino and TA make small 74BCD chainrings. Please note that Shimano Ultegra 6703 cranks have a 92BCD small chainring, and NOT 74BCD. There are no smaller chainrings than 30t available for this setup. This is a pretty popular hack. If you’re using 10-speed triple road shifters (Tiagra, 105, Ultegra), you can hook them up to a 9-speed MTB derailluer, a 10-speed MTB cassette and a 10-speed chain. 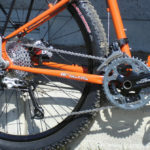 As the 9-speed MTB derailleur pulls in the same way as a 10-speed road, you are essentially just increasing the derailleur cage length to increase the overall capacity. Keep in mind the 10-speed shifters will ONLY work with 10-speed road triple front derailleurs. Shimano Acera 9-speed derailleurs work with 10-speed gearing. As 10-speed shifters will only work with 10-speed road triple front derailleurs, JTek has created a product (the Shiftmate 7) to change the cable pull ratio of the front derailleur. This means you can hook up your road shifters with a full 10-speed MTB drivetrain if you like, provided you make use of the Shiftmate 8 for the rear derailleur too. More on the Shiftmate products HERE. There are a few ways to increase the gear capacity of a rear derailleur when using a 1x or 2x chainring setup. 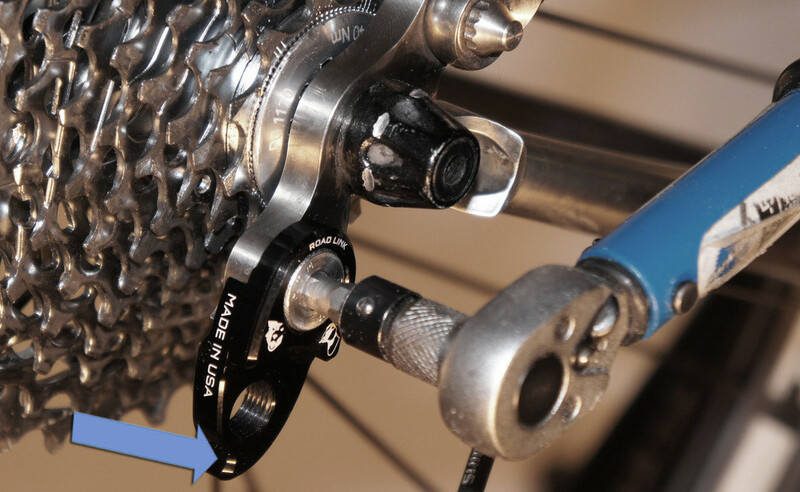 These adapters re-locate Shimano derailleurs to allow for larger cassette use. Coupling the ‘RoadLink’ with a mid or long cage road derailleur, you will be able to use a 11-36t cassette (I actually squeezed a 11-42t on my road bike) rather than a 11-32t. 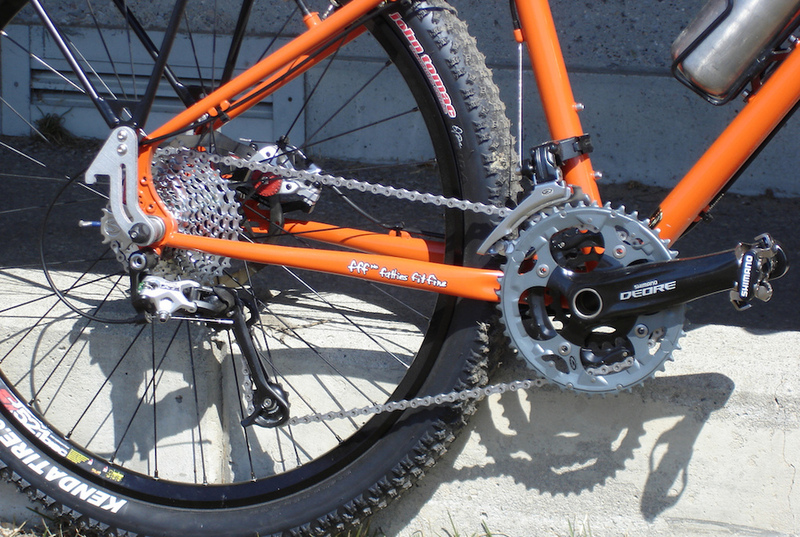 The ‘Goatlink’ is designed for 10-speed MTB derailleurs and will permit 11-42t cassettes (but probably more). 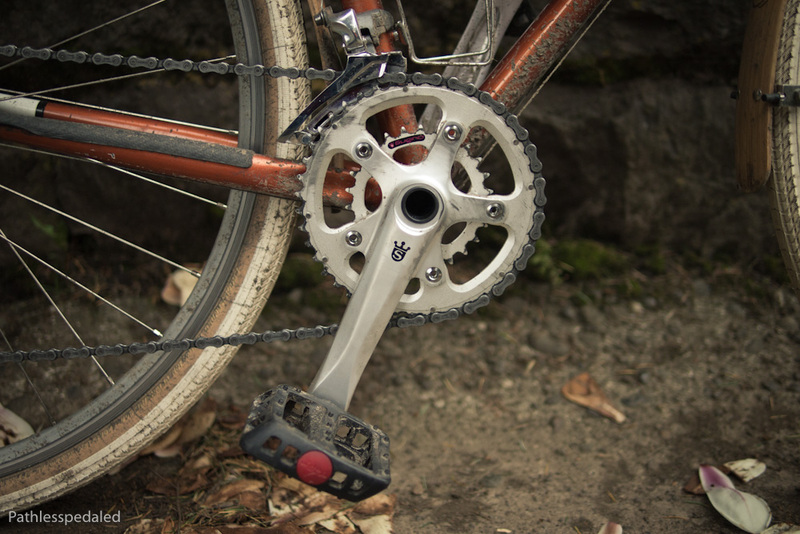 The Lindarets RoadLink will allow you to use wider-range cassettes with your road derailleurs. The RAD cage is a replacement outer cage for Shimano medium cage derailleurs which can accommodate for up to 40-42t cassettes. 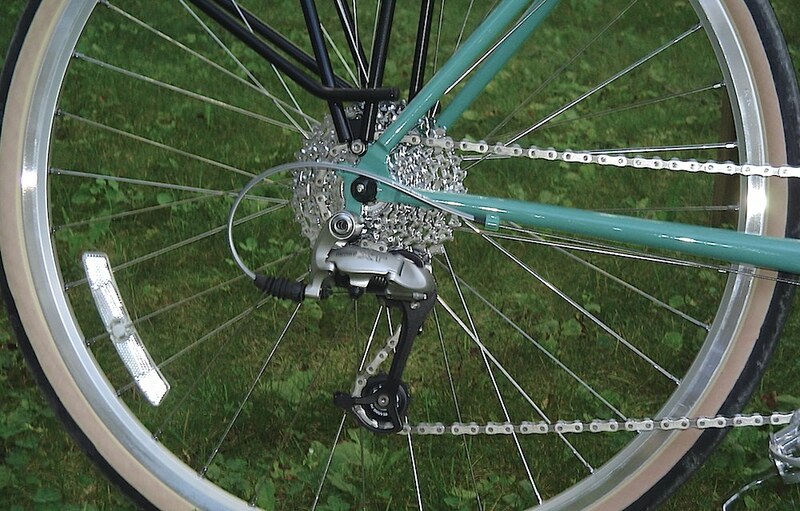 The RAD moves the upper pulley wheel rearward to optimize the derailleur for larger cassettes. 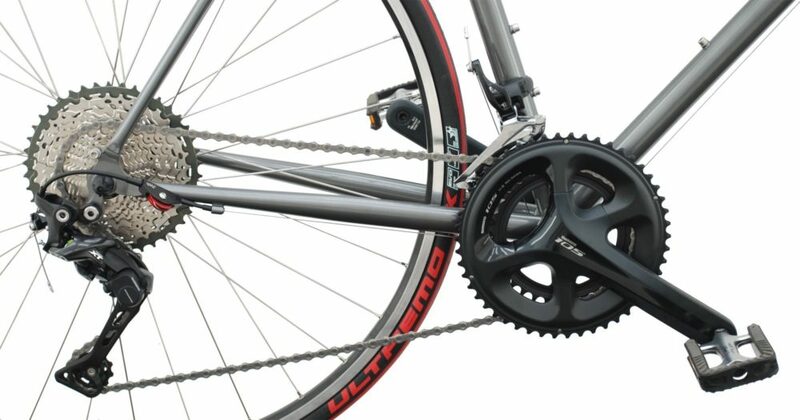 As the derailleur moves into larger sprockets, the top pulley wheel then automatically moves away to adjust the chain gap, no longer relying on just B-Screw. It’s possible to turn regular 10 speed 11-36 cassettes into 11-40t. A number of companies have cropped up to make space by removing one of the smaller cogs (16t or 17t) with a bigger one (40t or 42t). This setup is proven and works well on drivetrains with long cage derailleurs that don’t exceed their capacity by too much (45-47t should work). Check out Hope or OneUp for more. You can make combinations out of some of the setups listed above. For example, you could use the White Industries VBC crankset with a 10-speed MTB cassette and 9-speed MTB rear derailleur. Leave me a comment and we can discuss how well your combination may work. The smaller the gap between front chainring sizes, the better the overall shifting will be and the less capacity the rear derailleur will require. I generally recommend a maximum of 20t difference for a double crankset and 24t for a triple.